Last week, Bangladesh Prime Minister Sheikh Hasina expressed her dismay at the stalemate on the repatriation of the Rohingyas. “We’ve been making various efforts… but there has been virtually no progress,” she said. A day earlier, her foreign affairs adviser, Gowher Rizvi, called for re-imposition of sanctions against Burma. “Without pressure, nothing will happen. Myanmar won’t be secure for the Rohingyas. If Myanmar is not secure, Rohingyas will not go back,” the adviser noted. Underscoring the severity of the situation, Rizvi went on to state, “If Myanmar can get away [with that], there will be no security of minorities anywhere in the world. So, we really need to wake up,” he said, calling for “extraordinary international support” for the Rohingyas. So far Burma has cleared some 600 cases for repatriation in response to Bangladesh’s supplied list of 8,030 names. The former accused the latter of not adhering to the terms of the agreement in preparing the list. Dhaka rejected the allegation. It feels betrayed by Naypyidaw’s machinations to stall the much-desired repatriation. Included in those are: coming up with new demands and inordinate delay in verification. 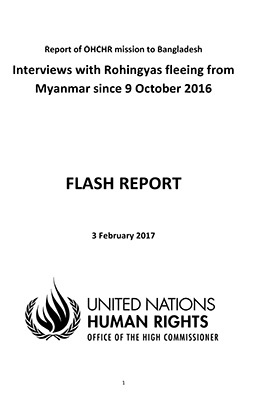 The repatriation and the physical arrangement deals, signed on November 23, 2017 and January 16, 2018 respectively, set the January 23 deadline for the repatriation of 670,000 Rohingyas who sought shelter in this country, fleeing atrocities of a monumental scale in the Arakan state. In order to placate its eastern neighbour, Bangladesh refrained from including in the list more than 200,000 Rohingyas who came before August 25, 2017. Of the three “durable solutions” recognised in conventional refugee discourse, if “voluntary repatriation” is ruled out, then “third-country resettlement” and “local integration” remain the other options. Are those options feasible in the Rohingya refugee context? Very recently, the special envoy of the Canadian prime minister recommended that Canada should welcome refugees from the Rohingya community. Days ago, the Filipino president also expressed a similar interest. There is no reason to believe if at all these countries and others will end up taking Rohingyas; the number in all likelihood would be paltry compared to the existing refugee caseload. In that context, such declarations should be essentially viewed as well-meaning expressions of solidarity with the Rohingyas. With the United States, the largest refugee receiving country, in retreat from its decades-long policy of admitting refugees and with the increase in sway of right-wing political forces in Europe and Australia, the future of a third-country resettlement appears to be bleak. Against the current anti-refugee, anti-migrant and xenophobic context, particularly in the global north, Bangladesh has set a unique example by admitting and providing shelter to the hapless victims of genocide. It has done so despite being a resource-poor and densely populated country. Bangladesh government has categorically stated that local integration of Rohingyas is not an option, a view largely shared by its populace. Such a policy, if ever considered, will likely be politically charged and will, in all likelihood, work against the national consensus that exists in favour of the Rohingyas now. There is also the important moral and strategic question: by exploring solutions other than voluntary return, would not the international community be complicit in fulfilling the long-term Burmese agenda of depopulating Arakan of the Rohingyas? Thus, if safe, dignified and voluntary repatriation is not in the offing, if third-country resettlement is a non-starter, and if local integration is not a practical proposition, what fate should lie for the Rohingyas? Surely, Bangladesh does not have the capacity to take care of more than a million people for an uncertain period. At this time of global uncertainty, there is always the likelihood of the outbreak of new humanitarian crises and hence no guarantee that the international community will continue to support maintaining the Rohingya refugees for perpetuity. All these lead us to think of a creative and practical durable solution to address the issue. The Protected Return to Protected Homeland (PR2PH) plan, presented at the Berlin Myanmar Genocide Conference in February this year by the members of global Rohingya community and their supporters, is an important contribution in that conversation. 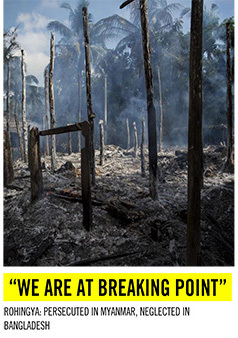 The core of PR2PH plan is the declaration of northern Arakan as the Rohingya Homeland, the ancestral home of the Rohingya, protected by international forces and ensuring the return of 1 million Rohingyas from Bangladesh and other members of Rohingya diaspora who fled what Amartya Sen and Desmond Tutu had termed as “slow burning genocide” to Arakan permanently, or on a temporary basis, to rebuild their homeland through self-rule. It will also entail setting up a demilitarised zone south of Maungdaw ensuring that no Tatmadaw forces are present in the region. Such an arrangement will address the Rohingya’s existential need for an internationally protected homeland in northern Arakan within the Union of Burma. While facilitating their return, Bangladesh and the international community must acknowledge the reality that this is not a typical case of repatriation and thus a matter of agreeing on modalities and setting up of logistics for facilitating the return of refugees to their country of origin, where the situation that led to their flight has registered an improvement. On the contrary, this is a case where the genocidal regime is still in control of the state and has remained resolutely committed in its intent to exterminate the population. Hence, the emphasis is on the concept, Protected Return. The idea of re-establishing Rohingya homeland, though conceived by the Rohingya leaders, was neatly articulated by Irwin Cotler, a Canadian constitutional lawyer, war crimes justice and legal counsel of Nelson Mandela and Andrei Sakharov, at the Berlin conference. There is little scope to dismiss the Homeland plan as impractical and unfeasible. 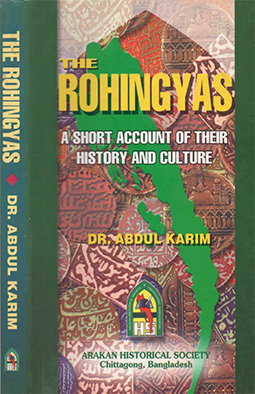 As has been noted by Rohingya specialist Maung Zarni, the idea of “a home for Rohingya is rooted in the Burmese official documents including Encyclopaedia which defined officially Northern Arakan State (of Mayu Frontier area) as Rohingya homeland (1964) and Myanmar Ministry of Defence’s highest leadership spelled this out in July 1961 during the Mujahideen’s surrender.” Zarni provides documentary evidence to back his statement and argues that as part of a surrender deal, the military leadership in Rangoon gave in to the Mujahideen’s demand to keep Mayu district out of Akyab (Sittwe) based Rakhine control. This suited the military’s own agenda of keeping Rakhine nationalists in check. The first founding chief administrator of this homeland for Rohingyas was the then young Lt-Colonel Tin Oo, now 95-year-old Vice Chair of the ruling National League for Democracy, the oldest colleague of Counsellor Aung San Suu Kyi. The unwillingness of the Burmese state to provide protection to the Rohingya has necessitated the need for international protection of the designated homeland that very much existed four decades ago. No doubt the Burmese leadership will oppose the PR2PH plan. Time has long past for the international community to go beyond appeasing the murderous regime and robustly implement the homeland plan for the Rohingyas. This is perhaps the only feasible and legitimate durable solution to save them from the predatory genocidal Burmese politico-military establishment and to avert undesirable consequences that this protracted refugee situation may create not only for Bangladesh, but also for the region as a whole, with wider consequences for the global community. Prof. Dr. CR Abrar teaches international relations at the University of Dhaka.